Location, check. Destination dining, check. Urban chic surroundings, check. 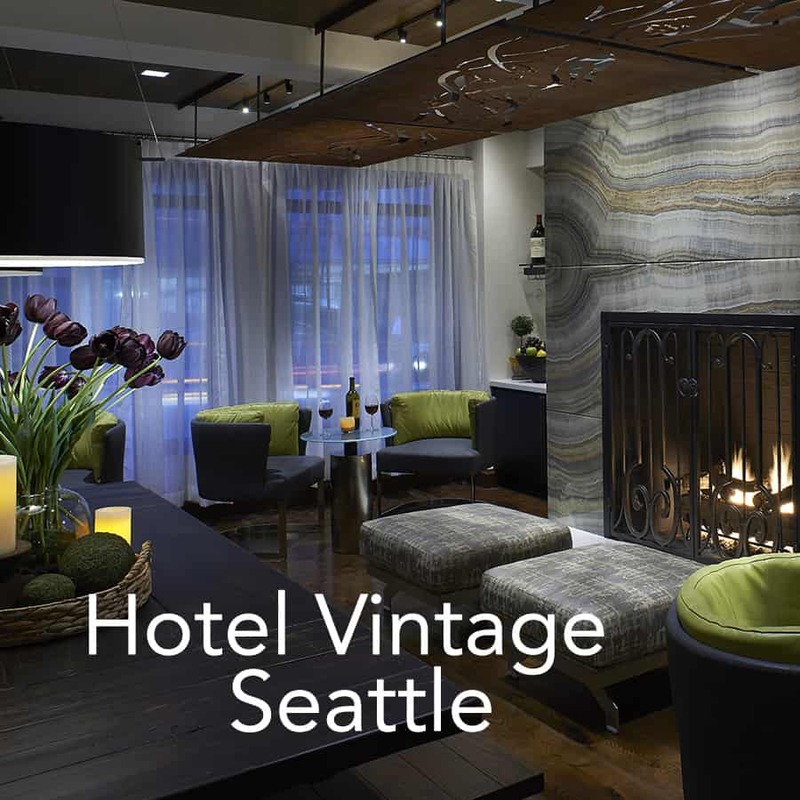 Located in downtown Seattle, Hotel Vintage Seattle provides easy walking or biking access to Seattle’s beckoning attractions, from Pike Place Market, Safeco Field and Pier 91 to Pioneer Square. 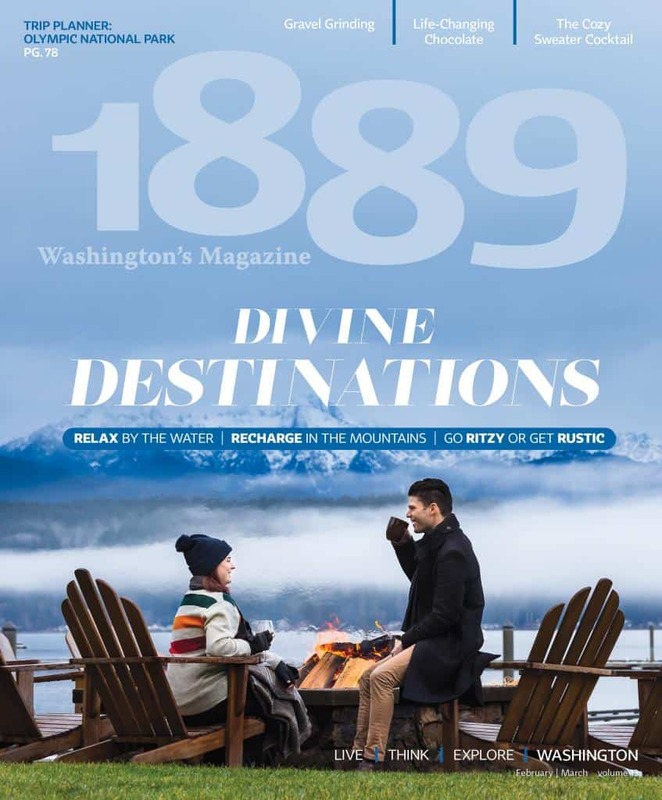 Awarded Washington’s best hotel in 2017 by Travel + Leisure, Hotel Vintage Seattle is a centrally located social hub with an inviting hotel fireside lobby, specialty services like in-room spa treatments, and one of the best restaurants in Seattle at ground level. Boutique style rooms, each inspired by a Washington winery, have plush bedding, appealing art and cozy furniture for sitting and sipping wine. In for a romantic evening and forgot your perfume at home? Hotel Vintage Seattle curated a partnership with local fragrance designer Molly Ray to create signature scents that parallel the wine theme of the hotel, available to purchase in each room’s mini bar. The scents are custom-blended and organic, inspired by the world-renowned wine regions in France and Italy, and specifically designed to enhance the wine-drinking experience. With wine the central theme, a favorite amenity is, of course, the nightly hosted wine reception in the lobby living room. Complimentary hotel bicycles are available to get around the city, and for a great early morning stretch, yoga mats are provided in each room. Hotel Vintage plays host to one of the best Italian restaurants in Washington. Tulio Ristorante exceeds expectations with its authenticity, romantic ambience and whimsical Italian dishes whipped together by executive chef Walter Pisano. His sweet potato gnocchi inspires addiction.